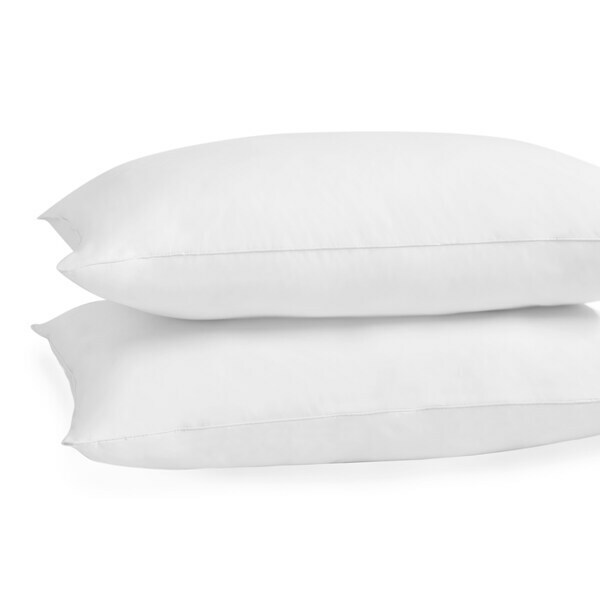 Very comfortable pillows that provide a restful night of sleep. Probably the most comfortable pillows i have had in a long time. We love these pillows especially with them being hypoallergenic!! We have lots of allergies and these pillows have been awesome!! Pillows were delivered very quickly!! We are very happy with these pillows. Firm enough but without the “bounce-back” effect of pillows that are not down-filled. The cotton is soft an comfy. Recommend. Great price for these pillows appreciated that they came in sets of two! Thank you Overstock! They are medium firm but fluffy, dense I would say, but very comfortable hope they hold up ! Very happy with purchase! Nice pillows. I was expecting a better quality based on the Beautyrest name. I would not order this type of pillow again. Outer material is not very soft. These pillows are super comfortable. The price is good and the product is is very much as advertise. I would recommend them for your guest room and a set for your self. The Hypoallergenic aspect is a plus as I have two asthmatic grand children who will be using the pillows. These pillows are soft. but med firm. The stiffness in my neck is gone since I started sleeping on these pillows. Planning on buying each one of my daughters a set to go along with their Christmas present. Comfortable for this side sleeper. I am allergic so I was happy to find hypoallergenic pillows at such a good price. Comfort not too firm or soft. Just right! High quality pillows! Work great with my King Size Shams. Just okay pillows. They flatten too much when slept on. It has taking me a while to get used to these pillows. I had neck surgery and found them uncomfortable at first now it has been a while I can sleep on them. No problem now. These are definitely not worth the price and am kind of disappointed with the quality especiallt since they are made by Beautyrest. Only being used in shams at this point and not for actual sleep. Super comfy pillow! Not too hard and not too soft. Overstocks price is great and the delivery was quick. Love shopping for bedding from Overstock! What amazing pillows! So comfortable and a great quality. I am sureI will sleep better and enjoy for a long time to come. Would recommend and would purchase again. Sounds like a good pillow for a good price.